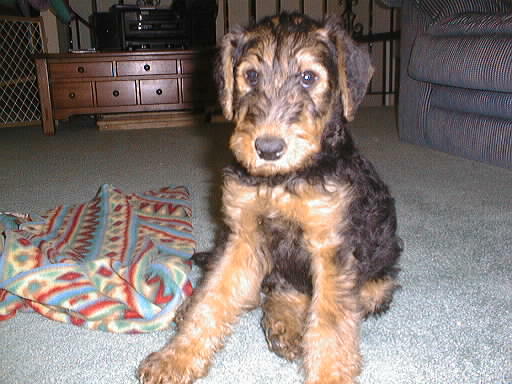 This is Zoe the Airedale Terror..Terrier, registered name 'Rainbow's Morning Frost'. She was born 1/8/99 and came to live with our family of four on 3/14/99. She is so sweet and perfect. We love her, you can see why!